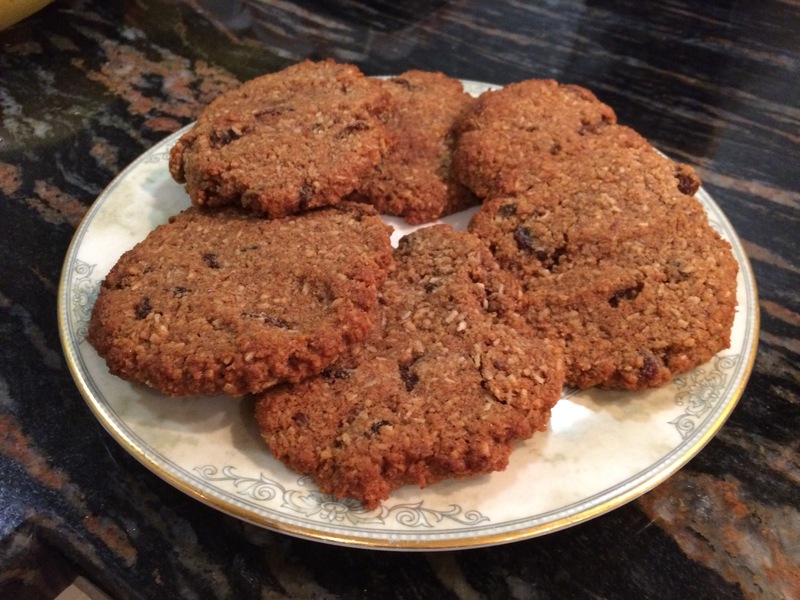 I made these cookies for the first time recently and they are really tasty. Soft and slightly chewy, they are grain free. The raisins could be exchanged for dark chocolate chips, cranberries or currants. Place the shortening and egg in the bowl of a stand mixer and cream for 1 minute on high. Alternatively use a hand mixer. Add the honey and vanilla and mix for another minute until creamy. Combine the cinnamon, nutmeg, flours, baking soda, salt and flax seeds in a small bowl and stir into mixture. Add the coconut and raisins and mix for a minute. Drop balls of dough on to a baking sheet lined with parchment paper. Gently flatten to about ¼” thick and circular using either a spoon or your hands. Bake for about 10 minutes until the edges are lightly browned. Cool on a wire rack completely before storing in an airtight container. I used unsalted butter for my cookies. To stop curdling when mixing the egg and butter, I creamed the butter first and added some of the dry mix as I beat the egg in. Recipe from Danielle Walker’s Against All Grain. 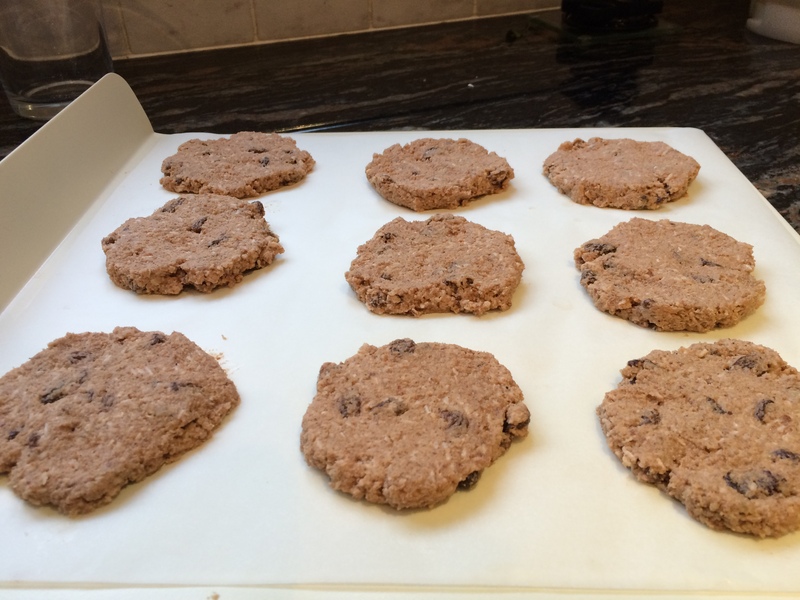 This entry was posted in Miscellany, Sweets and Treats, Vegetarian and tagged Almond, Coconut, coconut flour, Cookies, Gluten Free, Healthy Eating, Raisins, Vegetarian, Wheat-Free. Bookmark the permalink.